One of the three foci of my photography is science in action. Scientists need good photos to convince other scientists that their research is well-done and that the topis is one worthy of study. A well-done photo can make a point much more succinctly than amny words of text (something about 1000 words? :-). Scientists also need photos to convince the public that a scientific site is worth preservation as well as the cost of the study. These photos are often technically challenging. Figuring out how to capture an image that accomplishes both my and the scientist’s goals is a fun challenge and I often learn a lot in the process. The result is that I become a better photographer. Sometimes the scientist’s work gets picked up by the media. I therefore gain exposure and sometimes income from having the scientist mention my name to the media. In working with the scientists, my view of the world is enriched. I get to spend time looking at something that I might have previously overlooked, and find wonder in it. Science photography has taken me to many strange places in the world, such as a cave in Mexico with deadly gasses (hydrogen sulfide, carbon monoxide, and others) and a cave in Australia with low oxygen levels. However, not all science trips are to dangerous places. I have taken science photos in the Azores, Hawaii, Australia, and other places. An example of how my photos have been used is to illustrate the article Extreme Culture by Josie Glausiusz, in Nature, vol. 447, 21 June, 2007. To convince Bacillus to go into spore form, it is put in a bath of hot water. In addition, scientists use photos for posters and talks, both to the public as well as to other scientists at meetings. Scientific granting organizations such as the National Science Foundation require that the scientists do communication of their results to the public. 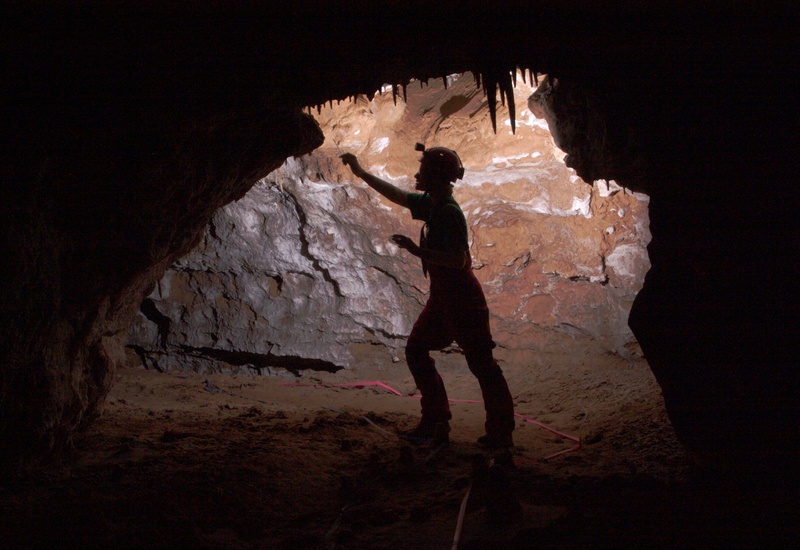 For example, this image was used to illustrate the idea that microbes can help produce cave formations. Note the (probably microbial) filament in the water drop. 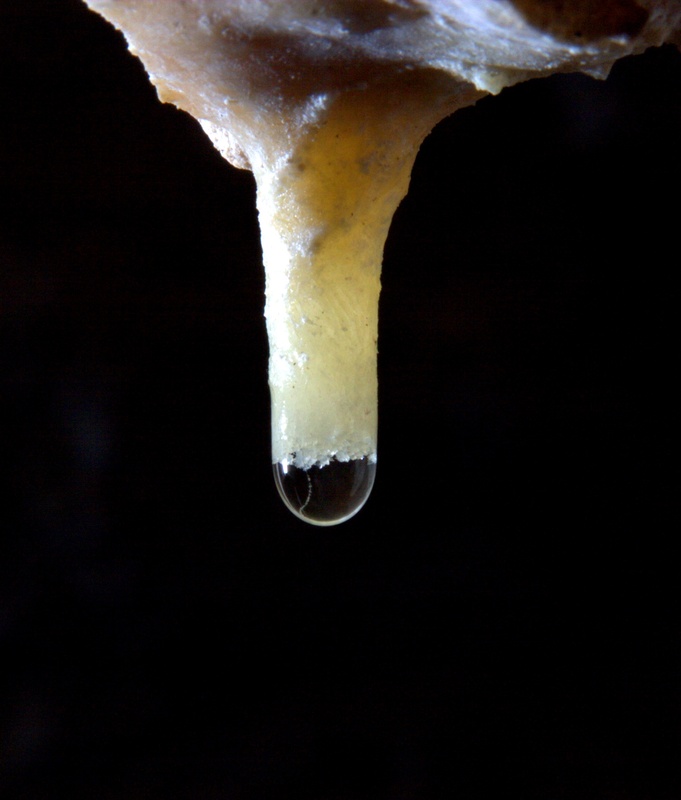 This image was used in a scientific paper to support the idea that microbes could be involved in cave formation creation. Scientists at universities need to recruit new students and otherwise “advertise” their lab’s accomplishments. They, reporters, or sometimes I produce media for the general public, such as magazine articles. They use your photos for illustrations and possibly even the magazine cover. My most recent magazine cover was for the scientific Journal Astrobiology. To conclude this blog entry, taking science and science in action photos has been a good partnership for both the scientists and me. 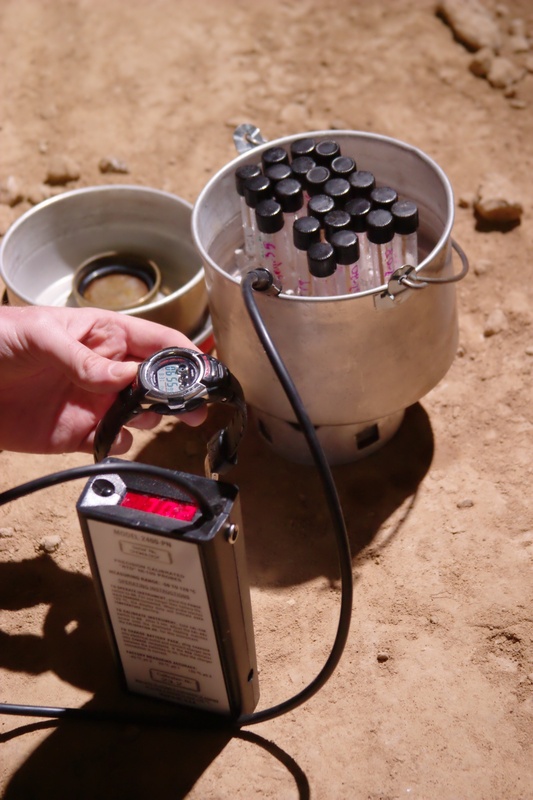 They get good photos to use to illustrate the science. I learn more about photography by solving challenging problems and get to go to interesting places throughout the world to take the photos. If you are a photographer and live near a place where research is done (universities are a great place), you might consider partnering with a scientist. If you are a scientist, you might consider talking to some photographers. In the future, I will write additional material for photographers and scientists about how to do a better job at the photography. I would like to acknowledge my wife, Diana Northup, who is the scientist I most often work with. It is through her that I have met many of the other scientists I work with.